Christmas is here and everybody is in festive holiday season. Above is the scene of people partying and enjoying their Christmas holidays in snow. Can you spot the Santa Claus in the above scene ! 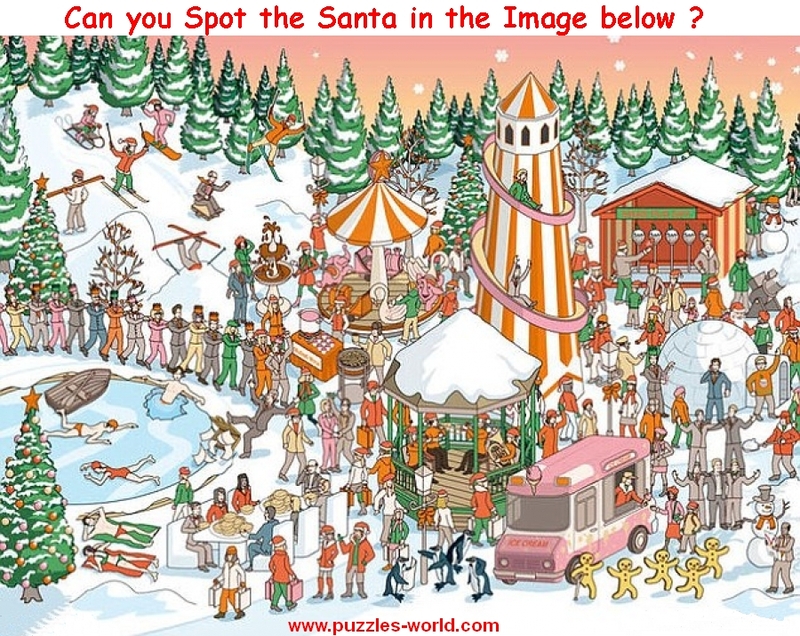 Share the image with your family and friends and see who can find Santa !